The beautiful seaside town of Medellin in ocean bathed Northern Cebu gets ready for thrilling pro boxing. The boxing show will take place on the holy Easter Sunday, one of the most festive events among Christians here in the Philippines and worldwide, which commemorates our Lord Jesus's resurrection from death, as written in our Holy Bible. Then, it's so much expected that this Easter Sunday fight fans in Medellin will rush-in to their town's sports complex for a Happy Easter of family, friends boxing. In the co-feature, rugged warrior Wilbert Rota engages rookie welterweight Elmer Naason of Cebu in a tough 4-rounder match that might not make the distance. Also, local Medellin fighting kid Jerry Ambrad makes his pro boxing debut in front of family and when he battles the more experienced Kervent Aresco of Compostela in a four-stanza symphony of leather in the 108-pound . 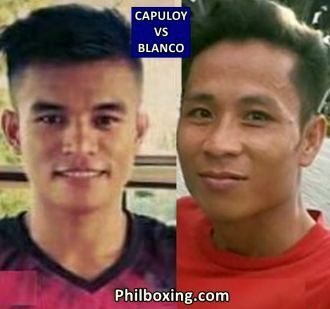 In flyweights, 22-year-old Cedie Noblefranca of Cebu City and pro boxing debutant Rolly Dorong of Mandaue square off in a four-chapter saga that promises total action. Its an afternoon of exciting boxing that no fight fan in Medellin can afford to and Philboxing.com will be there! All fights will be supervised by GAB Cebu head officer Madame Arlene M. Olondriz. The boxing card at the Sports and Cultural Complex in Medellin, Northern Cebu, is a production of Sportscope promoter Lorenzo "Chao" Sy, who is the coordinator of ABAP (Alliance of Boxing Associations of the Philippines) for Region-7. The author Carlos Costa is a Panama boxing reporter living in the Philippines. Carlos can be reached at carlos512@hotmail.com and / 09184538152.